Two and a half years after being mothballed by the previous owners, the iconic N-Furnace at Aldwarke in Rotherham is being given the Royal treatment as it is reignited by Liberty Speciality Steel. His Royal Highness, The Prince of Wales will visit the site today to mark a new era for steel production in the town. The move is part of a multi-million-pound investment by the Liberty House Group – a member of the GFG Alliance - that is creating 300 new jobs at Rotherham and its sister plant in Stocksbridge. Liberty formally completed a £100m deal to acquire the Speciality Steels division of Tata Steel UK last year. The "small bloom" caster at Aldwarke was officially reactivated shortly afterwards. The first electric arc furnace (EAF) casts at Aldwarke were produced in 1964. 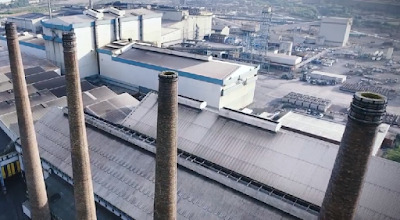 The N-Furnace, which was installed in 1993, is the larger of the Rotherham plant's two EAFs and was mothballed in 2015 at the height of the global steel crisis. The 800,000-tonne-a-year N-Furnace, which turns scrap metal into specialised steels for uses such as vehicle gearboxes or aircraft landing gear, will now play a pivotal role in Liberty's overall GREENSTEEL strategy, designed to usher in a cleaner and more competitive era for the industry in the UK. Prince Charles will be briefed by GFG executive chairman, Sanjeev Gupta, on progress towards the Alliance's vision for an industrial revival based on renewable energy, metal recycling and integration of the supply chain. The Royal visitor will also meet several young people who will form part of a new generation of skilled workers for the steel sector and wider industry. These include Liberty apprentices and graduate recruits as well as Industrial Cadets from local schools whom the company supports to develop their knowledge and experience of industry, with a view to building careers in metals, manufacturing or engineering. The Prince of Wales inspired the establishment of the nationwide Industrial Cadet programme seven years ago, following a visit to see the steel industry on Teesside. The Liberty Group has a strong commitment to developing young people's skills. Its Speciality Steels business alone is recruiting a dozen graduates and 20 apprentices this year to train in engineering, technical and support roles. The company delivers bespoke training at the dedicated apprentice centre it runs in collaboration with Sheffield College on its Stocksbridge site. The switch-on marks the culmination of five months engineering work by a team of 35 people to repair and upgrade the equipment. 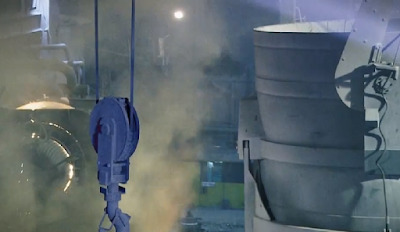 It will triple Liberty's capacity to melt scrap into liquid steel at Rotherham, making the company the largest steel recycler in the UK, with a capability to melt over 1.2m tonnes a year. It also moves the business closer to its target of installing 5m tonnes of GREENSTEEL production capacity within five years. In addition, restarting N-Furnace will enable the Rotherham plant to double production on its adjacent bar mill to over 400,000 tonnes a year. After reigniting the furnace, the Prince will move on to the adjacent general office at the plant, which has just been extensively renovated and re-opened as the new HQ for Liberty Steel UK, having previously lain empty for eight years. There, His Royal Highness will meet several young people who have recently joined the company as apprentices or graduate trainees. He will also speak to teenagers from Bradfield School and Rotherham College who are taking part in the highly-respected Industrial Cadets programme. Since Prince Charles prompted the creation of the scheme in the North East, it has grown to become a flagship nationwide programme. Liberty Steel UK chief executive Jon Bolton is one of the founding directors and official ambassadors for Industrial Cadets. Liberty actively supports Industrial Cadets through a partnership between the GFG Foundation and the Engineering Development Trust. The GFG Foundation, a registered charity, was established by Mr Gupta and his wife Nicola. Sanjeev Gupta, founder and executive chairman of Liberty House Group, said: "Switching this furnace back on today, after it had lain idle for more than two years, is a pivotal moment in the revival of UK steelmaking and we are very pleased His Royal Highness is able to share this hugely symbolic milestone with us. The occasion makes a very powerful statement that steel does have a future in Britain and that is very good news for the whole of our manufacturing and engineering sector."